Why is it so hard to lose weight when your thyroid is low? Your thyroid fires up metabolism which in turn has a major impact on your ability to lose weight. The thyroid produces vital hormones that are released into circulation to spark energy production in virtually every organ and body system. In effect, your thyroid hormones fuel your body to ensure it keeps working in tip-top shape. These hormones help your body generate energy, stay well, keep warm and ensure your brain, heart, muscles, digestion, and other body systems keep working properly. It’s hard to lose weight when your thyroid is low as your metabolism plummets, slowing all body processes. A sluggish thyroid makes it extremely difficult not only to shed the extra pounds, it can also cause fluid retention, a slow heart rate, mood changes, and overwhelming exhaustion. When you have a low thyroid your metabolism is dialled down. This makes it hard to lose weight, you may even feel too tired to even try. And, as your energy dips, you could also start to crave sugary foods for energy. Is it possible to boost your metabolism, feel better and lose weight when your thyroid is low? First and foremost it’s very important to get your thyroid checked properly to gain a better understanding of how your thyroid is functioning. If your doctor won’t do comprehensive testing, consider finding one who will. When it comes to weight gain T3 deserves a special mention. T3 is your most potent thyroid hormone. It has the ability to really rev up your metabolism. In fact, far greater amounts of T3 are converted from thyroxine (T4) when your body wants to step up energy metabolism. 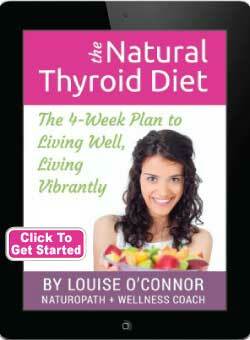 For many people with a low thyroid, the body is not properly converting T4 to T3. Only a check of both free T4 and free T3 will reveal if this is occurring. The standard reference range for free T3 is 4.0-8.0 pmol/L. This provides a very good clue that you ideally want to see your free T3 test result above 4.0 pmol/L. If your free T3 is below 4.0 pmol/L you are more likely to find it difficult to lose weight. Secondly, once you have these results it’s very important to investigate WHY your thyroid is working below par. Once you discover the reasons why you have a thyroid problem you can start to solve it. It could save you years of suffering and heartache. A holistic perspective seeks to find the underlying root causes and then treats all aspects of your health. Rather than simply treating your thyroid symptoms, an individualized treatment plan will help you get your thyroid health back on track. As your thyroid recovers your metabolism will pick up. This will help you lose weight, and you will finally begin to live with vibrant health and vitality. 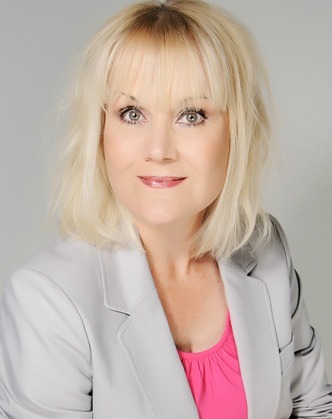 Read MORE articles from Louise O’Connor. Like Thyroid Nation on Facebook and Follow us on Twitter. Questions or anything to add about losing weight with low thyroid? We’d love your thoughts in the comments section!